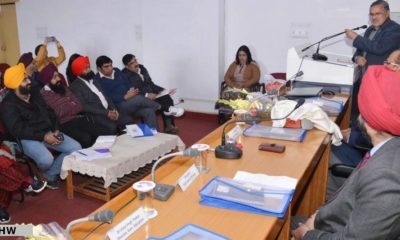 Solan: As part of its effort to prepare the first state-level Climate-Smart Agriculture (CSA) profile in India and to mainstream climate resilience into the agriculture sector, a broad consultation workshop was held at the Nauni based Dr YS Parmar University of Horticulture and Forestry. The World Bank supported Integrated Development Project (IDP) of the Himachal Pradesh’s government and CGIAR Research Programme on Climate Change, Agriculture and Food Security (CCAFS) in collaboration with UHF’s Department of Environmental Science and the International Maize and Wheat Improvement Center (CIMMYT) organized the workshop. The experts from state departments of Forests, Horticulture, Agriculture, Animal Husbandry, Environment, Science and Technology and scientists from UHF Nauni took part in the workshop. The workshop aimed to leverage the understanding of the participants on climate change and develop a shared vision for scaling up CSA. The results of this discussion will inform future work on CSA in the state by identifying the key institutions supporting CSA, and the most appropriate technology packages for different zones across the state. Dr Renu Saizal, Assistant Conservator of Forests welcomed the guests and gave a brief background of the IDP and the CGIAR. In his address, Dr Pramod Aggarwal, Regional Programme Leader of the CCAFS informed that they had collaborated with the World Bank to prepare CSA profiles of 20 countries and Himachal Pradesh was the first state in India where such a profile is being prepared. The workshop was divided into two sessions. The first session was on the technologies, which can be implemented in the state, and the second focused on the institutions and policies. Himachal is very sensitive to climate change and this is a reality that cannot be ignored. Climate variability will lead to a shift in cropping patterns and it is important to identify crops, cultivars and animal breeds that can withstand drought stress. He advocated for a stronger policy for public transport and the planned expansion of roads through maximum use of tunnels and pillars, which do not disturb the natural vegetation and water movement along the mountain slopes. 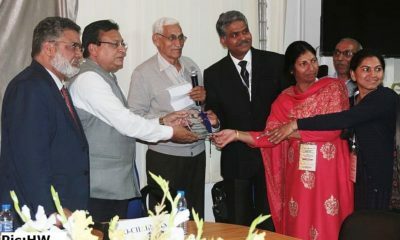 Special focus must be given on water harvesting systems in homes to recharge groundwater, along with the promotion of precision farming techniques that maximize water use efficiency. Dr SK Bhardwaj, Head UHF’s Department of Environmental Science explained the climatic scenario of the state. Calling for a collective effort on adaptation and mitigation of climate change, he said that state is experiencing warmer winters and snowfall has squeezed to January- Feburary months in place of November to February. He added that the tree line has also shifted upward and pointed out that the rainfall has become highly variable thereby causing frequent droughts and flash floods affecting crop productivity and leading to loss of property of the state. 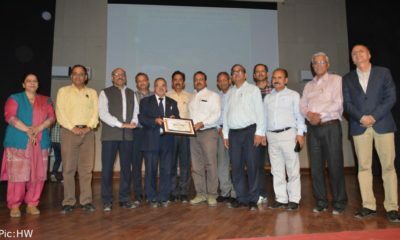 Dr Bhardwaj lauded the efforts of the farmers to adapt to changing climate by growing alternative crops like kiwi, pomegranate and vegetables in place of apple, Kullu being the best example of the practice. 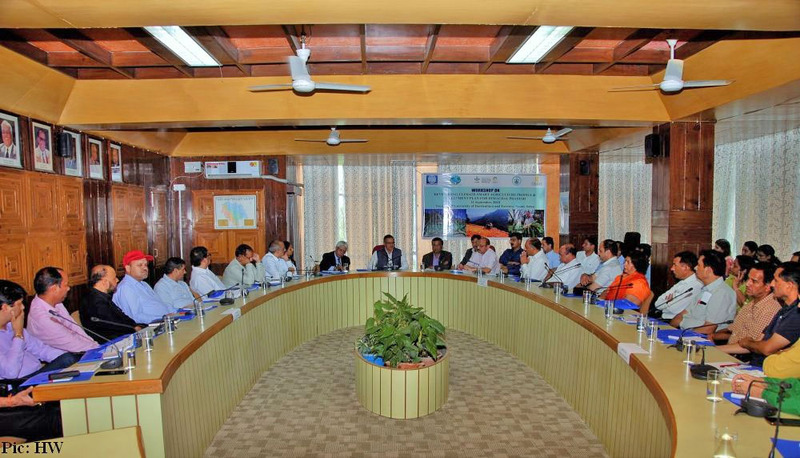 Several topics like irrigation, pasture management, agri-technology, weather-based crop insurance schemes and pollution from agricultural activities were also taken up during the workshop. This project builds on the Himachal’ investments in integrated watershed development and will support the government to identify and scale up adoption of the most appropriate CSA practices that increase farmers’ ability to adapt to climate change. 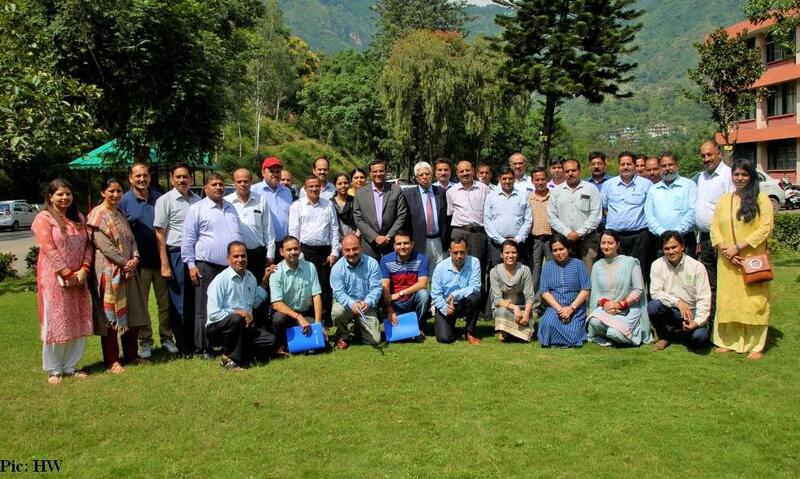 The objective is to support the Government of Himachal Pradesh to identify locally-relevant climate-smart agriculture (CSA) practices; understand the policy and institutional barriers to broader adoption of CSA practices; and identify appropriate technology solutions for monitoring the adoption of CSA practices and their impacts on climate adaptation and mitigation, including water use efficiency and water flow regulation.